The Department of Housing and Urban Development (HUD) has announced changes to the federal reverse mortgage program. Citing the need to put the program on better financial footing, HUD will raise reverse mortgage fees for some borrowers and lower the amount homeowners can borrow. A reverse mortgage allows a homeowner who is at least 62 years old to use the equity in his or her home to obtain a loan that does not have to be repaid until the homeowner moves, sells, or dies. 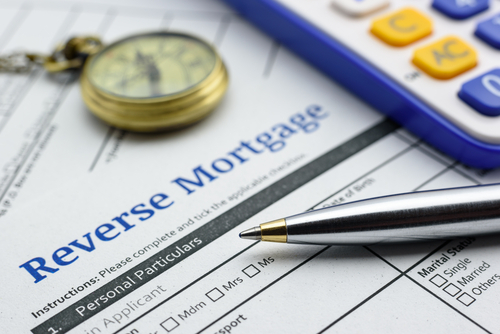 In a reverse mortgage, the homeowner receives a sum of money from the lender, usually a bank, based largely on the value of the house, the age of the borrower, and current interest rates. Seniors sometimes use the loans to pay for long-term care. To start, HUD is changing the mortgage insurance premium fees that homeowners pay in order to obtain a loan. Currently, homeowners pay 0.5 percent of the value of their home as an upfront mortgage insurance premium on smaller loans, but homeowners who take out a loan that is more than 60 percent of their home's value pay a 2.5 percent premium. The new rule will require homeowners to pay a standard 2 percent upfront mortgage insurance premium. Homeowners considering a large reverse mortgage may want to wait until after the new rules go into effect. To offset the upfront costs, the annual mortgage insurance premium rate will be dropped from 1.25 percent to 0.5 percent. In addition, HUD is lowering the amount that homeowners can borrow. The average borrower at current interest rates will be able to borrow only around 58 percent of the value of their home, down from 64 percent. The changes are set to go into effect on October 2, 2017. The changes will only affect borrowers who take out new loans; they will not affect existing loans. For more on the new requirements, click here.